Hindsight, as they say, is always 20/20. Taking these preventative steps will ensure that you get the most out of your S2000 and make your ownership a pleasurable one. Check out these measures for new owners or those of us who have gotten a bit lax about maintenance right here. 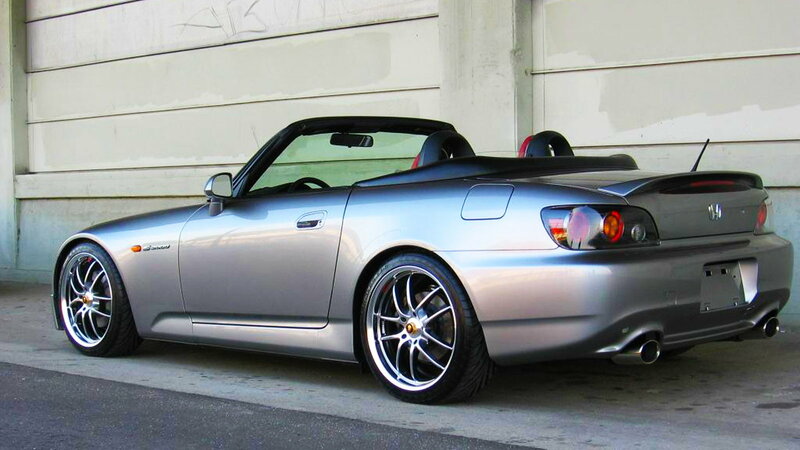 Did you just buy your S2000 and want to check out that everything is okay with your new dream car? Whether things seem fine or sketchy with your sporty roadster, these series of checks will set your mind at ease that you know exactly what shape the car is in. Much thanks and appreciation to forum member Themikewoo for compiling this great list of things that every brand new owner should know. Each of these steps will link to the DIY thread or helpful information. 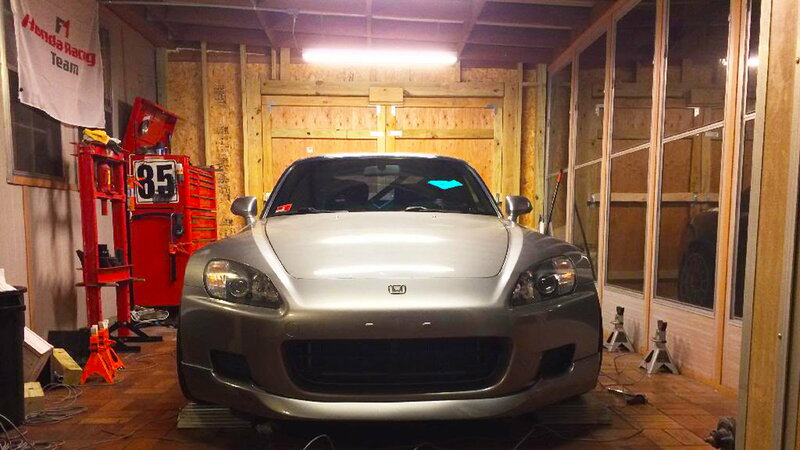 >>Join the conversation on these necessary item checks on your S2000 right here in S2ki Forum! Take heed of when and what should be done to your S2000 in order to keep things running in tip-top shape. Murphy's Law will always be present but you will know that you've taken every measure that you could and something negative happening was just out of your hands. That being said, changing your oil, checking tire pressure and having milestone inspections are just the same as regular health checkups at the doctor. Don't wait for things to go wrong before you look at the innards of your car. You'll not only know the baseline of how your car is running but you could save thousands of dollars. Link to the maintenance schedule. There are many fluids that flow throughout your S2000 but one of the most important is the transmission fluid. This should be changed but many folks don't know how often it should be performed since it varies by manufacturer and vehicle. Since the S2000 is a manual transmission it requires more conventional oil rather than that used on an automatic. So why should it be changed? Like all automotive fluids, the stuff running through your transmission deteriorates over time. Frequent stop and go city driving and other factors such as hauling a heavy load will cause the fluid to deteriorate even faster than normal. That sort of driving elevates the operating temperature of the transmission which puts more strain on the system. That being said for the longevity of the transmission, do not just check the fluid level often but also have a shop check the condition of the fluid. 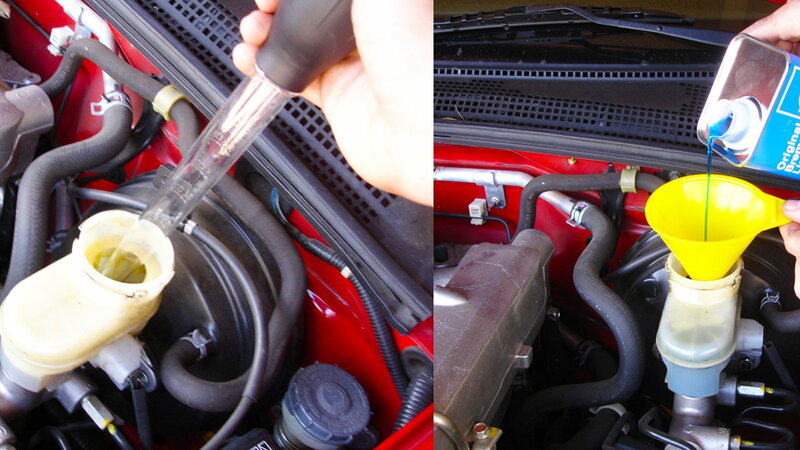 Transmission Fluid Change DIY. For this one, we're going to switch things up and get your mind focused on that rear end. What I'm talking about is the differential that gets your wheels spinning. The gears inside of the differential distribute out the energy to the axles, and the axles spin the wheels the proper way when you hit the throttle. The S2000 is renowned for its handling and the differential is right there allowing the drive wheels to spin at different rates as you round a corner. The differential gets its name from the fact that the inside wheels will spin slower than the outside wheel because it travels a shorter distance around the bend. Now, the gears inside the differential are sliding around coated in a viscous film of oil. Without proper fluid, the hardened steel of the gear teeth will cause friction and the gears will fail prematurely. Differential Fluid Change DIY. Spark plugs don't wear out... they "burn up." That's because when a spark jumps the gap between two electrodes it actually erodes bits of metal from each one. Over time that gap grows to the point when the spark cannot make the jump and you get a misfire. Further results are poor gas mileage, lousy acceleration, and best of all a possibly throwing a CEL. To keep your S2000 running at peak performance change your spark plugs and replace them with extended life versions that have higher melting points that can sometimes maintain a proper gap up to 100,000 miles. 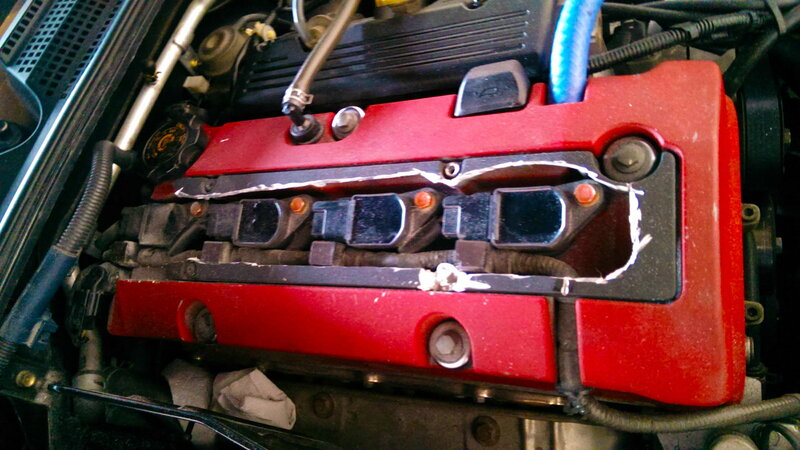 Changing spark plugs DIY. The serpentine belt is a vital part of your engine as it runs every engine-driven accessory such as the water pump, alternator, A/C compressor and power steering pump. With all of that riding on the shoulders of the belt, it is important to periodically inspect it for cracking, fraying, and glazing. The s-belt should be replaced every 30,000 to 60,000 miles. 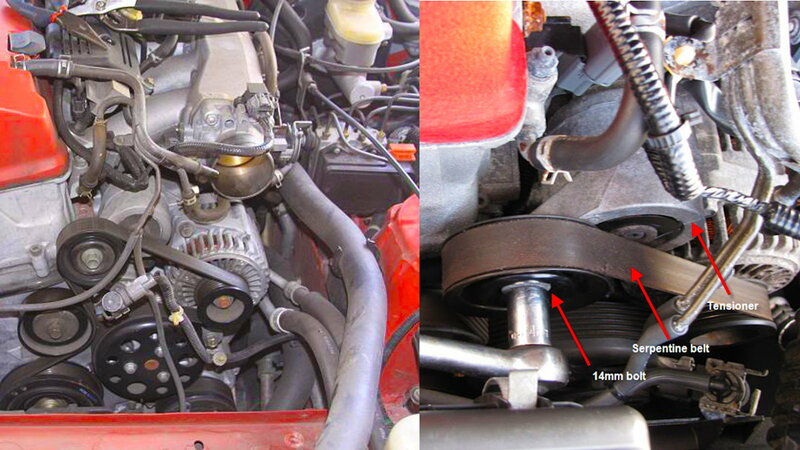 Changing the serpentine belt and tensioner. Brake fluid is an integral part of the system that brings your S2000 to a halt and slows things down enough for you to avoid an incident. 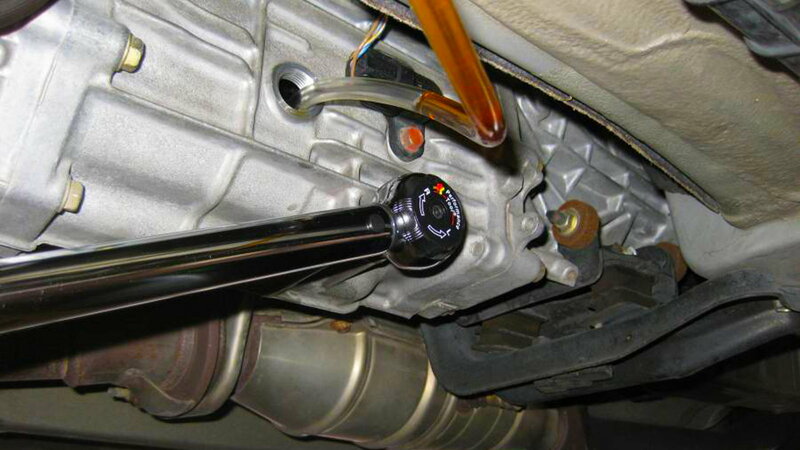 The fluid provides hydraulic pressure that actuates your braking system's pistons and provides braking. Brake fluid operates in a high-pressure hot environment that can normally range from 100 to 200 degrees. If you've ever been able to smell yours or someone else's brakes then it is a clear indication that the fluid could have reached upwards of 550 degrees. Hence the term "cooking the brakes." Boiling the brake fluid could lead to braking fade or complete failure since prolonged boiling would turn liquid into gas. 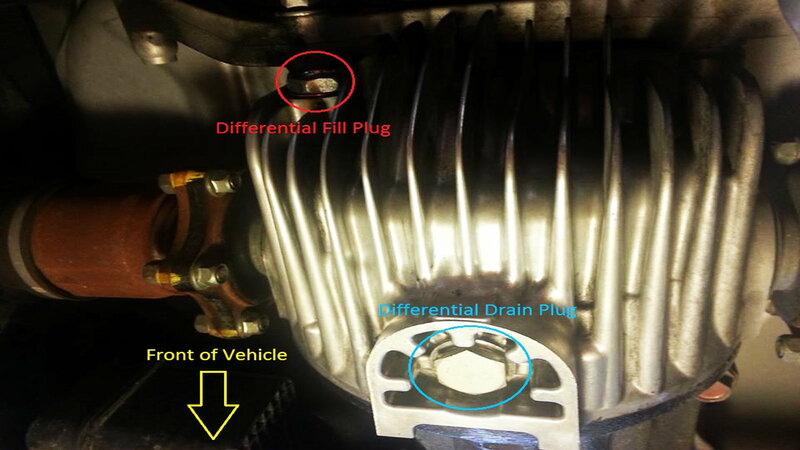 Brake fluid can become contaminated from absorbing water from the atmosphere and lead to a lower boiling temperature, thusly corroding brake components. DIY on bleeding the brakes.